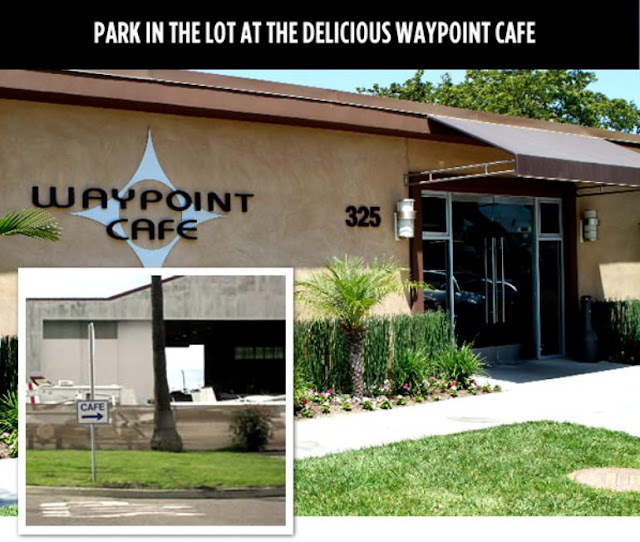 We are located at the Camarillo Airport. Do not rely on GPS, instead follow the directions below. From Los Angeles go North on the 101 for about 40 miles. Take exit 55 (Las Posas Road), turn Left. Go 1 mile and turn Right on Pleasant Valley Road. Go 1/2 mile and turn Right on Airport Way. You are now in the Camarillo Airport. Go 1/4 mile and turn Left on Durley Avenue. Go 1/4 mile and park in the parking lot on the Right. You should see the Airport Cafe. There is a gate to the Left of the cafe. Enter the passcode you got in your registration email and walk straight to our office. Airports can be a little confusing so please use the photos below to help you know where to go when you pull into our parking lot. Turn Right off Durley Avenue into the Cafe Parking Lot. Park. 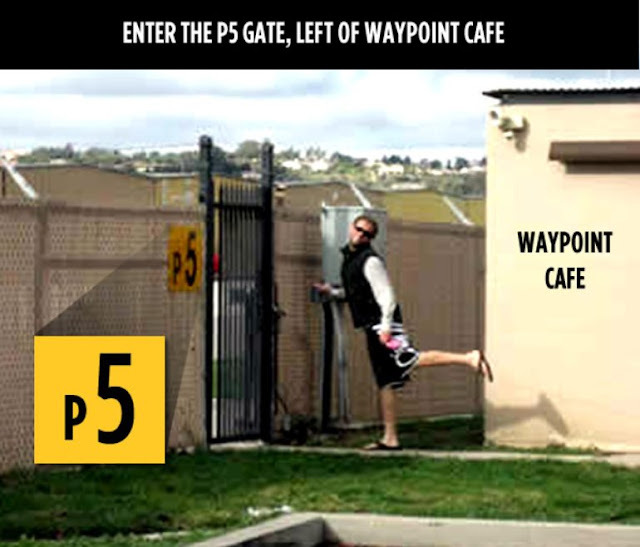 To the left of the Cafe entrance there is a Gate labeled P5. Always ready to have a good time, even if only demonstrating the gate, one of Ventura Skydiving Center's pilots poses below by the gate! Enter the code you received in your confirmation email to unlock the gate. 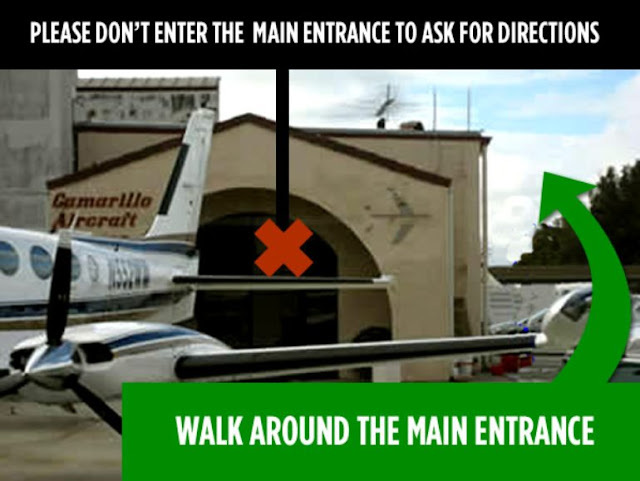 When you walk through the gate you will see the Camarillo Aircraft service hangar. Please go around the right hand side of the Camarillo Aircraft service building (pictured below). There are signs leading the way to our sky diving office. Please continue around the right hand side of the hangar all the way to the back corner of the building. Please do not go in their office and ask for directions. Follow the signs that say "Skydive Coastal California". Thank you for helping us keep good relations with our neighbors by not asking them for directions!